Looking beyond Facebook as a place for people to discover its games, Zynga has signed a deal with Synacor that may gain it access to millions of cable and telecom subscribers. Synacor is a behind-the-scenes technology company that provides authentication services, Web-based TV solutions — and now Zynga games — to 45 cable, satellite and telecom companies. Starting next year, Synacor’s customers will be able to offer their subscribers access to games from their homepages. Additionally, those providers will be able to include Zynga’s in-game currency as part of their subscription offerings. In other words, they can now bundle together TV + telephone + Internet + FarmVille Cash. Synacor’s customers include a variety of providers, such as Verizon, CenturyLink, Broadstripe, Charter and US Cable, and claims to reach 24 million households in the U.S.
Zynga has inked other distribution deals in the past, such as a rewards program with American Express that enables people to earn virtual currency when they spend money in the real world. This is the first TV-and-games mash-up for the social game company. It may take awhile before it becomes a meaningful business, if it ever does become meaningful, but at least it shows the company’s dedication to finding new subscribers, wherever they might be. A lot of the details are still being hammered out, like how customers will navigate from an operator’s homescreen to a game. Customers may be redirected to Facebook, Zynga.com or another network, like Google+. Clearly, if the customers are already existing players, they will likely want to play on the platform of their choice. Customers will receive a discount code in order to redeem the currency inside the game. It’s still not clear how much in-game currency customers will be offered, and, in theory, it could fluctuate based on the subscription package. 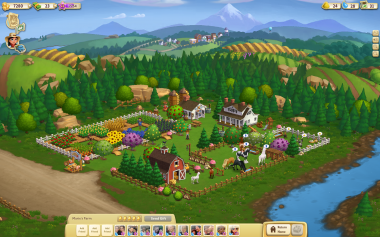 A Zynga spokesperson declined to disclose terms of the deal.